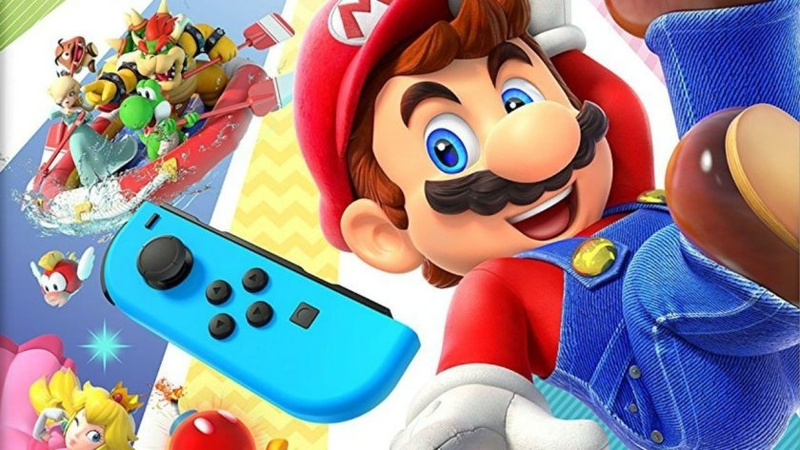 When it comes to the Mario Party series, more people typically means more fun. Now that Super Mario Party for Switch is out in the wild, there are reports going around about a Joy-Con shortage in Europe, specifically tied to Amazon. If this is the reason, it's at least positive news for the latest entry in the Mario Party series. The same source providing this information also notes how Joy-Con sales in Japan were up by "+200%" (three times the regular amount) during the period of Super Mario Party's launch on the Switch. Recent Japanese sales figures revealed how the latest party outing featuring the all-star cast generated 142,868 in sales on the opening weekend. This counts for physical copies of the game arriving in stores on 5th October and figures being tallied up on the 7th. Are you at all surprised to hear about potential Joy-Con shortages on European Amazon websites? Did you expect this to be the case when it was confirmed Super Mario Party was not compatible with other pads including the Pro Controller? Have you rushed out yourself yet to pick up a few extra Joy-Con for the party celebrations? Tell us below. The more I play this game the more it's growing on me. Specially the boards. We had some friends over and with 4 human players it's a blast. I know you could get a pair of joy cons with Snipperclips included, but it would have been nice to have got a copy of Mario Party with even just a single joy con for like £50... I'd have bought that instantly. Saying that can you buy single joy cons separately to hypothetically complete the pair? @Scottwood101 seems confusing to sell single joycons. It would be left to consumers to make sure they have an equal number of left and right joycons (assuming they want that), and I would think most people would buy the sets together anyways. That’s like selling left and right shoes separately - sure you can mix and match, but most people shop for a pair of shoes. I mean, it IS annoying when one joy con stops working correctly but having single joycons at stores seems like a waste of shelf space. I didn't buy the game. I will wait the bundle with joy cons. @Scottwood101 : Separate grey Joy-Con have been available at launch (though they are a little more expensive than if you were to buy them as a pair), however, coloured Joy-Con have never been available separately. I am not sure whether they are still in circulation, however. @Scottwood101 You can buy single Joy-Cons, they're £40 each though whilst a pair is £70. Given the game is £50 it seems unlikely they'd offer both the game and a Joy-con for £50. At least those are the prices on the Nintendo UK store, if you shop about you can get the game cheaper. There is a Joy-con pair and game bundle though. Currently on Amazon UK for £100. Nah it’s cos nintendo hates amazon! I don’t like amazon either so we must think alike. Game is fun, my only real gripe is it could use a few more boards for the main mode. Even nicer if we could get one or two boards that were a bit larger. The smaller maps make sense, there's just something missing without those large boards from the older games. I'm really hoping they support this game with some free dlc like their other games. I'm in this calculation, got a new pair of joy-cons as my 7 years old always have some friends in the weekend and they like to play MK8, Just Dance and now Mario Party. Yesterday, my wife, daughter and I had a lot of fun playing this game but I think there should be more boards and more mini-games. I hope that an update will be made adding more content as the game itself is good as it is. Amazon Italy's shortage is due to price-matching MediaWorld's online promo on top of the "no 22% tax sale weekend" bringing down the price of the grey and neon R/B joycons and some games to almost 50% off. I managed to grab some joycons and some games I still don't own before it went out of stock. I don't think it's purely because of Super Mario Party but it could have contributed. I'm surprised more people don't already have a second pair of joycons. It just seems like the default controller to me. Nintendo have made it obvious it's their first choice - 12 Switch, Snipperclips, ARMs, etc all built specifically for it. And with two pairs your have quick and easy 4 player for many games. @Geobros , Amazon.de just sold out last set of this for 99 Euro (game plus green/pink joy cons). I had it in my shopping kart but became "not available" before i could do the check out. It was due to become available second half of November so i have time to wait for it. Will be a present for under the Christmas tree anyways. Ha! I had more than 2 Joy Con BEFORE it was cool. I only have the JoyCons that came with the Switch, and I have never removed them... I have two Pro Controllers for docked play. 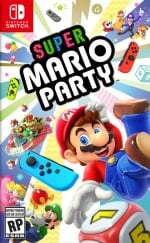 I have purchased every home-console Mario Party, most on launch day... but there is NO way I am buying the Switch game until a JoyCon bundle in North America is released. I can still barely justify buying extra controllers for one game... but I may get some use out of them by making another dual-analog controller for use with 4-player Smash, which I will rarely play in 4-player mode. I have been waiting YEARS for a half decent Mario Party. I haven't picked the game up yet but it's release was a good excuse to get an extra set of JoyCons.